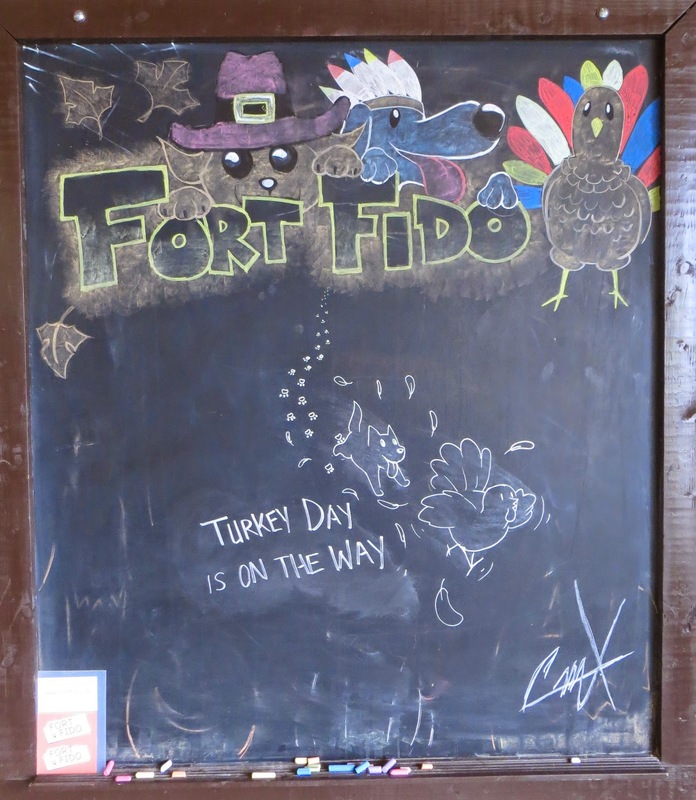 On behalf of the entire Fort Fido Staff, I'd like to say, Thank you, to all of our wonderful customers and supporters. Thank you for your business, your support, and for making 2014 another awesome year for The Fort. Wishing you all the best for 2015, Cheers! P.S. Have fun tonight and stay safe! If your canine companion doesn't fit into your plans tonight, contact us... We still have a few spots available for Overnight Boarding this evening. A few fun clips from the Medium and Big Rolls? Enjoy! They continued their "fierce" wrestle-play throughout the A.M., adding Angel to the mix. Over in the Big Roll, it was your typical "Reilly Show", with him getting several other canines involved in play, including Oliver, and young-buck Ryker. 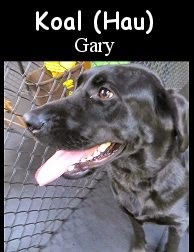 Meet Koal, he is a handsome, two year old, seventy-nine pound, Black Labrador Retriever. Koal had his assessment at The Fort early this morning, and did well. 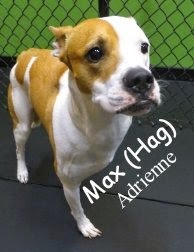 A high-energy and happy fella, we had him get started in our Big Roll Play Area right away. Koal was very excited to meet with the other canines, as they rolled in throughout the morning. He is a very social dog, so meeting and greeting proved to be no problem for him... Koal made pals with several different canines, within minutes. He played really hard with, and particularly liked, Bounce. The two dogs played together, off and on, for the whole duration of Koal's visit. Koal is most welcome to hangout with us at Fort Fido anytime. Nice job today bud! Checkout this clip of, Koal, having a great time with Bounce. This Christmas Eve morning, we had the luxury of welcoming Riley. 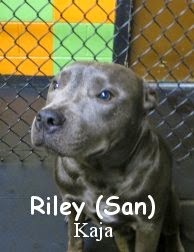 Riley is a 8-month old 45 pound mixed breed pup. We had him enter the large roll, he sadly didn't have his sleigh and sack with him. Riley was ready-to-go as soon as he saw some other pups entering The Fort. Soon after Zeus arrived, Riley went right into "play phase" with Zeus as seen below. We are enthusiastic about having Riley return to play some more. 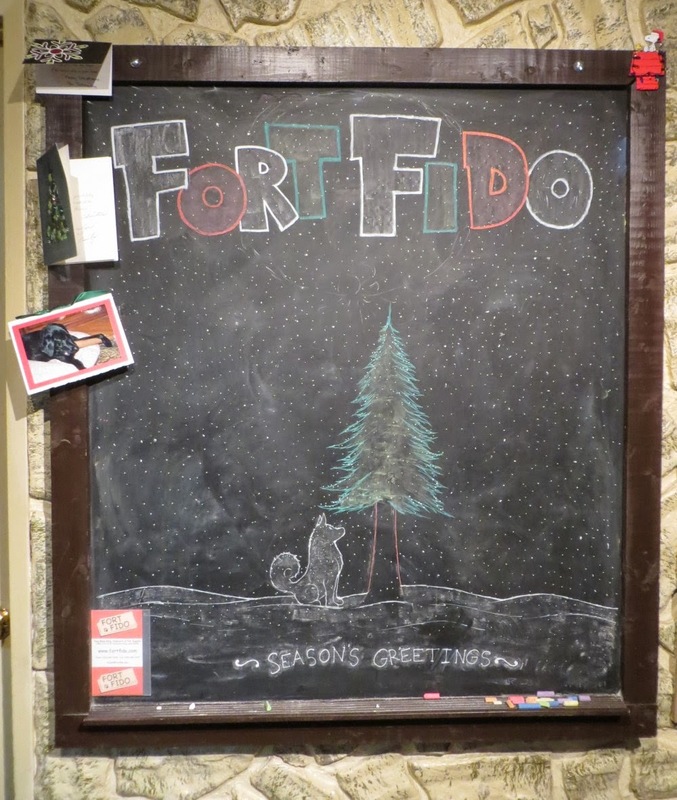 From all of the staff at Fort Fido we wish you happy holidays! There will not be another blog post until 12 / 29 / 2014. Enjoy your holiday! This morning, we had the pleasure of welcoming Pixie, the sister of Pete. 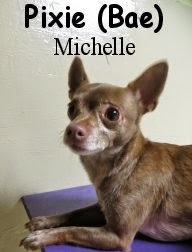 Pixie is a 4 year-old 5 pound chihuahua. Pixie was slightly anxious of coming into The Fort today, but her fears quickly diminished as she entered the small roll. Once in the small roll, Pixie sniffed about learning her surroundings and preparing herself to meet the other pups. She quickly made friends with Buzzette and Gypsy, enjoying her time with them. Although Pixie had not played the most, she definitely made some new friends today and we await Pixie's return. Stay warm and enjoy your holiday week! Today we welcomed Samson, whom is a 30 pound 3 year-old mixed breed, and Delilah, who is a 28 pound also 3 year-old and mixed breed. They both strolled into The Fort cautious, but ready for something new. 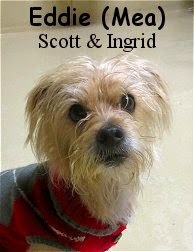 They sniffed about with tails a-wagging, as they entered the lobby. As they had entered the medium roll they learned their surroundings and seemed ready to meet others and socialize. Samson and Delilah may not have ended up playing with any others, but they definitely made some lasting friendships today at The Fort. These two are ready to roll on back and begin playing with their new-found friends. Stay warm and have a fantastic holiday week! Getting a dog? A pet might improve your health. Derby the dog runs miles with 3D-printed prosthetics - I've been waiting to share this all week, so awesome! Dogs and Cats enjoy a holiday dinner together - Hopefully you get a chuckle out of this one, I sure did. Doug The Pug's "All I want for Xmas is Food" - This one is pretty hilarious and cute, definitely worth a view. More of Carlos's December work & Zach wreath! Carlos added more to his lovely December piece. Zach made us a rad light-up wreath, the pic hardly does it justice though. This morning, the Fort Fido Crew got to meet up with the regal Bertie. 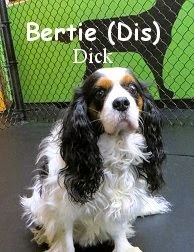 He is a handsome, six year old, thirty-two pound, Cavalier King Charles Spaniel. This fancy little fella is one kindly canine. We had him give the Medium Roll a go, and up in there, he did awesome. Although Bertie didn't play a whole heck of a lot, he did manage to stay happy and content during the whole duration of his visit. He enjoyed meeting with the other dogs and sniffing around the place. 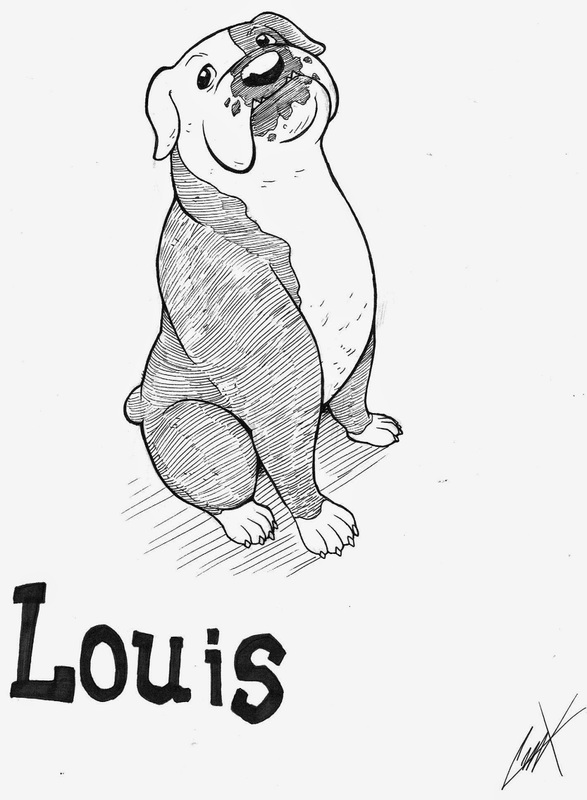 Every time one of us, or another canine, looked his way, Bertie would wag his tail delightedly. 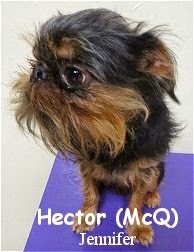 This sweet dog fit in very well with our pack, and based on his size and temperament, we know he could hangout with the Medium or Small Dogs. Bertie, you are most definitely welcome to stay at The Fort anytime, good on ya lad! Meet Nemo, he is a one year old, twenty-three pound, Australian Cattle Dog and Border Collie Mix, that had his assessment at Fort Fido today. Nemo seemed fascinated upon entering The Fort's lobby. He obviously knew that some type of doggy-interaction was in store. We led him to the Medium Roll, where he could explore a bit, before getting introduced to the pack. Nemo began to meet with the other canines in a kindly fashion, excited and curious, yet cautious. After about an hour or so, Nemo really began to bust out! It was a pleasurable sight to see, he play-bowed, ran, jumped, and wagged, with several different pack members. Nemo took quite a liking to Walter, Lucky, and Lucy, among others. We were pleased that Nemo had such a good first day here. 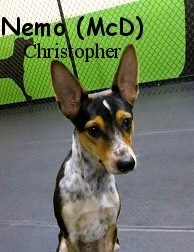 Like many of our canines guests, Nemo, is here to sharpen his communication skills, and most importantly, play... Which will hopefully get some of his energy out lol. Nice job Nemo, we'll see ya soon! Take the time to checkout this outstanding clip, which shows Nemo, getting to know Walter for the first time. It's a classic instance of "meet & greet", turning into play, almost instantly. That's what it's all about! 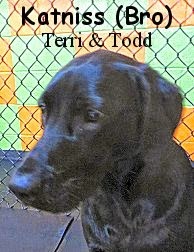 She is a one year old, about forty pound, Black Labrador Retriever, who had her assessment this morning. Katniss did very well in our Medium Roll Play Area, and she could even do fine in our Big Roll Play Area as well. She is a happy canine, that is all about getting along with others and having fun. The Fort will prove to be a awesome venue for Katniss to enjoy herself, and burn off any extra energy. She is welcome to attend Fort Fido anytime. First-rate job girl! I'll let the following clips speak for themselves... They feature Katniss, loving it here with Georgie and Petey. Good stuff! This morning, Fort Fido's team got to meetup with the sweet-tempered Xena. 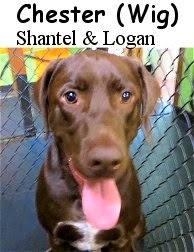 She is a pretty, four year old, forty-five pound, German Shorthaired Pointer. Xena is a very nice dog, that size wise, could handle our Big Dog Play Area, however, due to her slight timidness, we had her give the Medium Roll a go. Over there, Xena was a bit overwhelmed at first, but slowly began to warm up to the other canines. As more dogs entered the play area, she began to wag her stubby-tail happily, with each and every new arrival. 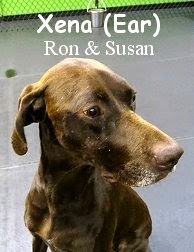 Xena's canine communication skills aren't too bad, she's just more of the shy type, that gets to know others slowly. Although she didn't play too much this visit, we wouldn't be surprised is she started to in future visits, especially after getting even more comfortable here. All in all, Xena is one pleasant dog that is welcome to The Fort anytime. Nice job girl! Checkout this fine specimen, Benny. 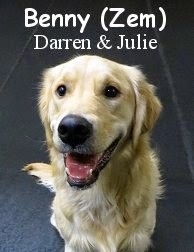 He is a stunning, eleven month old, seventy-five pound, American Labrador Retriever, English Labrador Retriever, and Golden Retriever Mix. This happy and rambunctious fella, was quite pleased to begin his Assessment Day here at Fort Fido. We had Benny try the Big Roll on for size, and it proved to be the perfect fit for him. After exploring for a little while, we introduced Benny to Jackson. The two canines hit it off like no other, playing and running about within seconds of meeting. As time passed and the Big Roll's pack grew, Benny continued to make friends and have a good time here at The Fort. 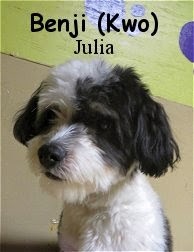 Given time and consistency, here and at home, Benny, can continue to better his canine social skills. Way to go dude, see ya soon! Get to know Rocky, who had his assessment at Fort Fido this morning. 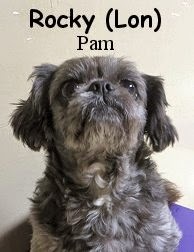 He is a seasoned, eleven year old, sixteen pound, Shih Tzu Mix. A Dog Daycare Veteran, Rocky, strutted into our lobby ready to get things started. After getting to know our Little Roll solo for a bit, it was time for Rocky to meet the other canines. He met the others with confidence, and his canine communication skills proved to be quite good. He meets and greets with other dogs in an easygoing fashion. Rocky didn't get into much play while he visited today, but that was expected due to his mature age... He just walked around the play area slowly, occasionally sniffing here and there. Mostly, Rocky just relaxed, seemingly comfortable with his new-found surroundings, and "elder" status amongst the pack. 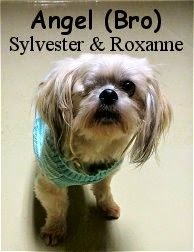 We are happy to welcome Rocky to The Fort and plan on seeing him again soon. We found Tucker and Oliver tearing the large roll up as well, check it out below! Hey all, I hope everyone is staying dry and having fun in this wet and brisk weather. I know for sure that the pups here at The Fort are having a lively time while staying dry. We also keep it warm here at The Fort to give them a comfortable time during the chilly weather. Christmas is fast-approaching, and hopefully a little snow on the 25th. I found some good articles for your enjoyment! Last week, The Fort Fido Crew got to meet up with Little Dog Eddie... This week, we got the pleasure of meeting Eddie's "older sister", Bonnie. 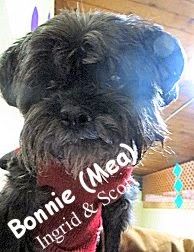 Bonnie is a mature, fourteen old, sixteen pound, Affenpinscher. 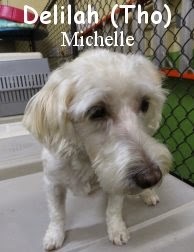 This cute little old gal, didn't do half bad here in the Small Dog Play Area. She putted around with her little brother a bit, and seemed fairly comfortable with our place. Bonnie really didn't get too rowdy, or into any play, however, that was kind of expected given her age. She communicates with other canines well, and handled the pack, and it's energy, without a care. I also think being with Eddie, gave her some comfort and normalcy as well. Bonnie is a sweet dog, that is more than welcome to attend The Fort anytime. All for now! P.S. 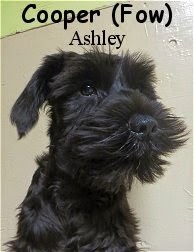 The Affenpinscher, is a really neat breed that we don't see too often, learn a bit more about them here. Meet Mighty Milo! 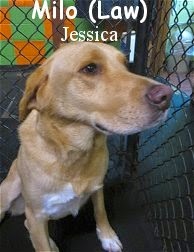 He is a two year old, seventy five pound, Yellow Labrador Retriever Mix. Milo had his assessment this morning and did quite well. 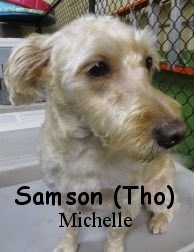 He entered our Big Roll effortlessly, ready to make some canine friends. We introduced him to Tucker and Theodore right away, and the three dogs became "bash brothers" within minutes lol. Milo is one happy-go-lucky pooch, and it is apparent that he has been properly socialized. To fit in with the group, and be comfortable enough to play, so quickly, is a real compliment to Milo and his owners. 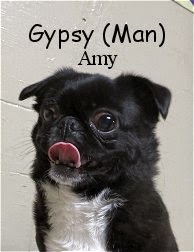 He speaks "Dog" fluently, and has a "fast" play-style. It's really great when an "Assessment Dog" or "New Dog" works out so easily... It makes everyone's work much easier. All in all, Milo did an outstanding job here at The Fort today. We look forward to his return. Get a load of Milo having fun! 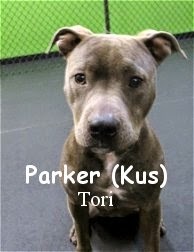 This is Parker. 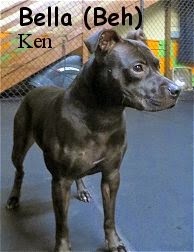 SHE, is a playful, one year old, forty-five pound, American Staffordshire Terrier. Parker entered The Fort's lobby ready and raring to go. 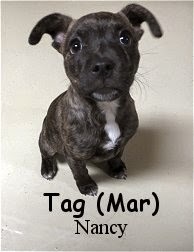 She is a "dog's dog", that likes to play hard and socialize. 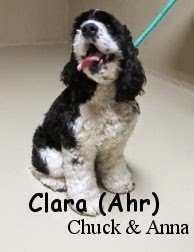 She is here to burn off some energy, and, hone her canine communication skills, which are pretty good, but can be improved. Parker did well in Fort Fido's Big Roll, where she had a blast with several different members of the pack. 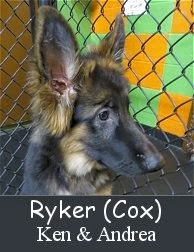 We look forward to seeing her again, and know that she can get a lot out of visiting Dog Daycare. Nice job Parker! Yesterday morning we were excited to meet up with Petey's sister, and actual littermate, Allie. 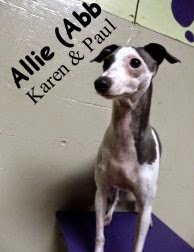 She is a darling little, eight month old, ten pound, blue and white colored, Italian Greyhound. Now, not as rowdy as her brother, Allie, is slightly more subdued, and takes a slower approach to meeting and greeting with other canines. With her personality and tiny frame, we had Allie give it a go in our Little Roll Play Area. There, she was nervous to begin with, but then got comfortable with The Fort rather quickly, as other dogs showed up and the pack grew. More of an "observer", Allie pranced around the play area with her elegant gait, which alone, is a sight to see in this attractive yet quite slender breed. Their gait is very "regal" looking, high-stepping and free. It reminds one of some type of fancy-horse trotting for a show. Even though Allie is dainty in appearance, it's clear that she is a hardy creature. Moreover, she puts up with Brother Petey's antics on the daily! Allie enjoyed her Assessment Day, and although she didn't play much, we're pretty sure she will eventually, and know that she does. 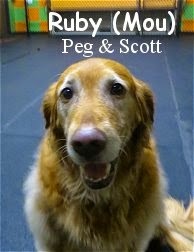 If anything, it's just nice for her to spend some time at Dog Daycare, to socialize and hangout, without brother Petey in the mix. Ya know, to have a little "Allie only time". We've heard Petey can get a little domineering with her. Brother and sister stuff lol! Swell job yesterday Allie, we look forward to seeing you again. 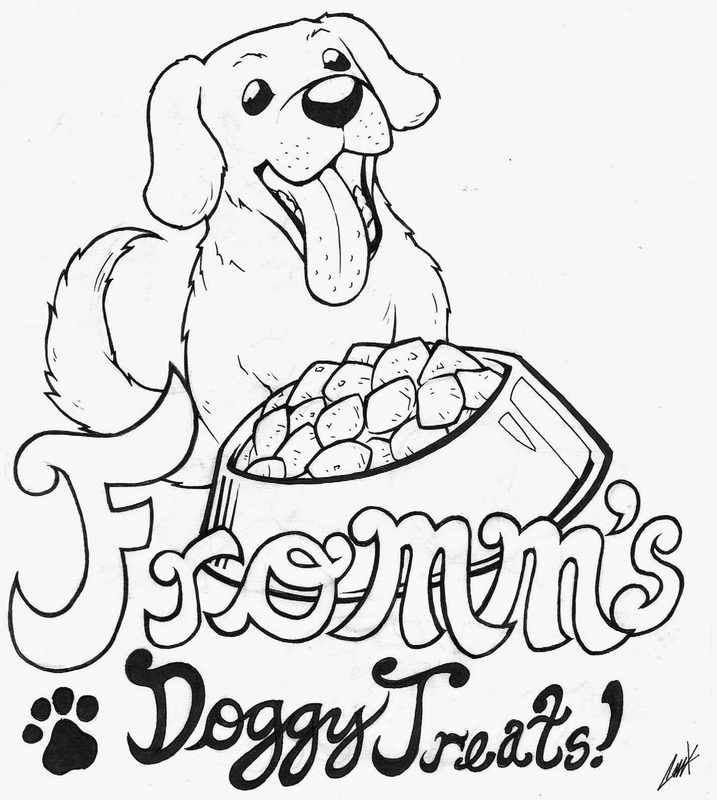 On behalf of all of us here at Fort Fido, have a fun, safe, and Happy Halloween! P.S. O, here's a good one! A Photographer’s Artful Shots of Dogs in Halloween Costumes.